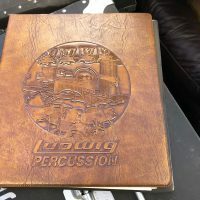 Back in the 1970s, when a Ludwig sales rep visited one of his dealers he would arrive with this binder under his arm. 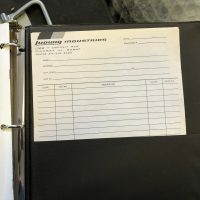 The binder contained everything he needed to land a big order including a catalog, parts list, product updates and the all important order form. 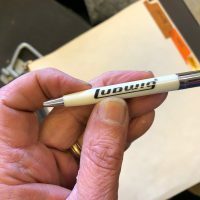 He even had a genuine Ludwig “Total percussion” pen to ink the deal. 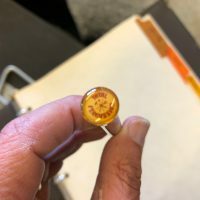 This belonged to Leo Palas, a Ludwig regional sales manager. I don’t know anything about Palas but its pretty clear this binder didn’t see much action. I didn’t want to photograph the entire contents but every page and every item is still here and in perfect condition. 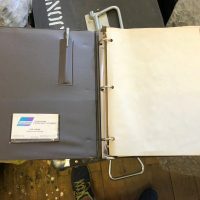 These binders surface fairly often but this is the first one I’ve ever seen that was 100% complete and in this condition.